We offer a delicious breakfast snack and a box lunch. Spend 4 hours exploring the Grand Canyon West Rim. Our drivers care about you. Yes, our drivers and tour guides are professional, knowledgeable, and friendly just like all of our staff. Are food and beverages included in the tour? Want more of a one-on-one experience? 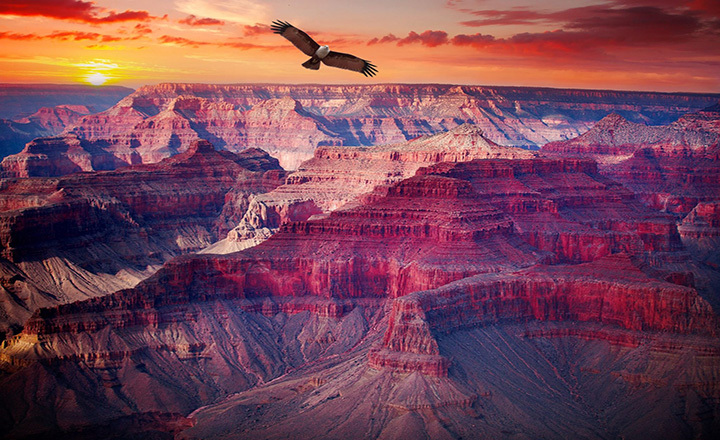 If you are looking for someone to place even more of an emphasis on your adventure, then a private guide on your luxury Grand Canyon West Rim bus tour is for you! Grand Canyon walking tours from Vegas give you and your group the exclusive experience everyone who visits the Grand Canyon desires to have. 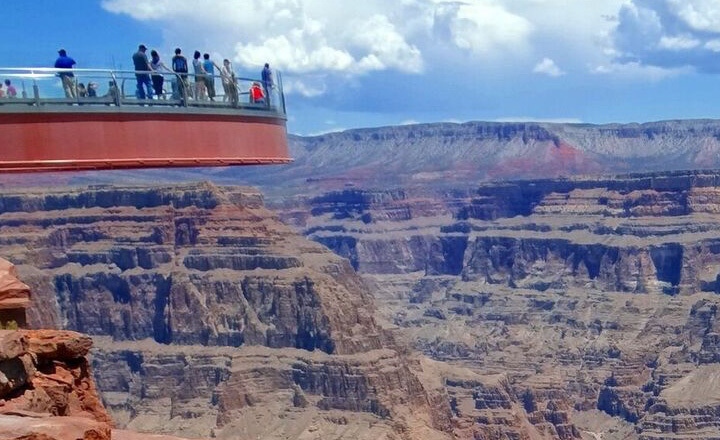 One benefit of our Grand Canyon West Rim tours from Vegas is that they offer a slightly shorter day trip compared to South Rim tours, which may work better for some visitor’s schedules. Additionally, we provide Grand Canyon bus tours from Las Vegas Strip hotels which allows you to maximize your time by departing directly from your hotel to the Grand Canyon. If you are searching for the best Grand Canyon bus tours from Las Vegas, look no further. Bus tours from Las Vegas to Grand Canyon West Rim begin around 7:00 AM. The Grand Canyon West Rim is about 130 miles away, but the Las Vegas to Grand Canyon drive will feel like a breeze in our relaxing tour bus. Your professional and friendly tour guide will climb aboard our luxury bus for a fully escorted tour to the Grand Canyon West Rim, and personally accompany you throughout your trip to help you make the most of your experience, narrating along the way to all of the points of interest. A walking tour guide is the best way to make your Las Vegas Grand Canyon tour a truly personalized adventure experience. First, you will stop at the Hoover Dam for a photo opportunity. 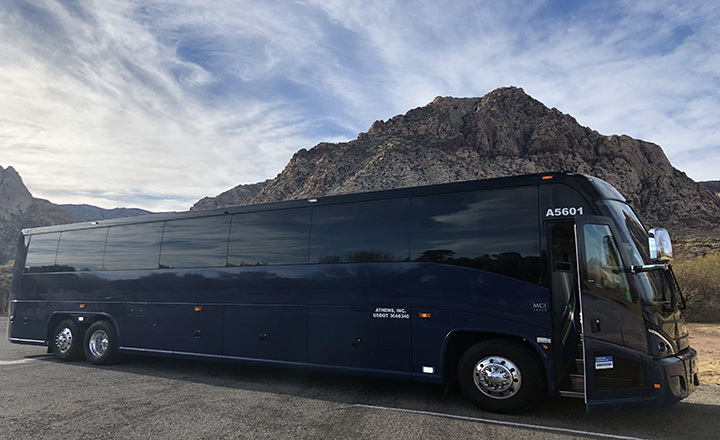 Then continue your journey on our luxury bus, equipped with a restroom and entertainment for your convenience, to ride along the Mojave Desert en route to the West Rim. One useful tip is to check the West Rim Grand Canyon weather before departing on your adventure as it is often different from Las Vegas weather. Once you reach the West Rim, you will ride the shuttle to the first interest point, Eagle Point. Then your next interest points will include Guano Point and the Welcome Center. One convenience we provide is that the Grand Canyon West Rim entrance fee is included in your tour package, so you will not have to worry about purchasing that additional ticket. Once your tour concludes you will ride back to Las Vegas on our luxury bus. Your average hotel arrival time is around 5:30 PM. A light breakfast snack, lunch, and bottled water is included. One of the best Grand Canyon trips from Las Vegas is to the Grand Canyon West Rim. Best of all, our Las Vegas Grand Canyon bus tour prices are unbeaten by other tour companies. Don’t miss out on the opportunity to see historic landmarks with this detailed and exclusive walking tour.